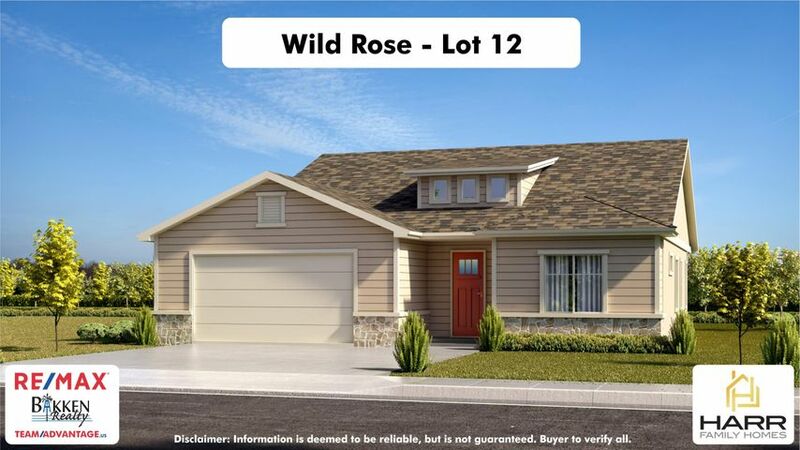 The Wild Rose Plan, located on Lot 12, is a quality stick-built home being constructed by Harr Family Homes as part of their Prairie Collection at Stepping Stone. 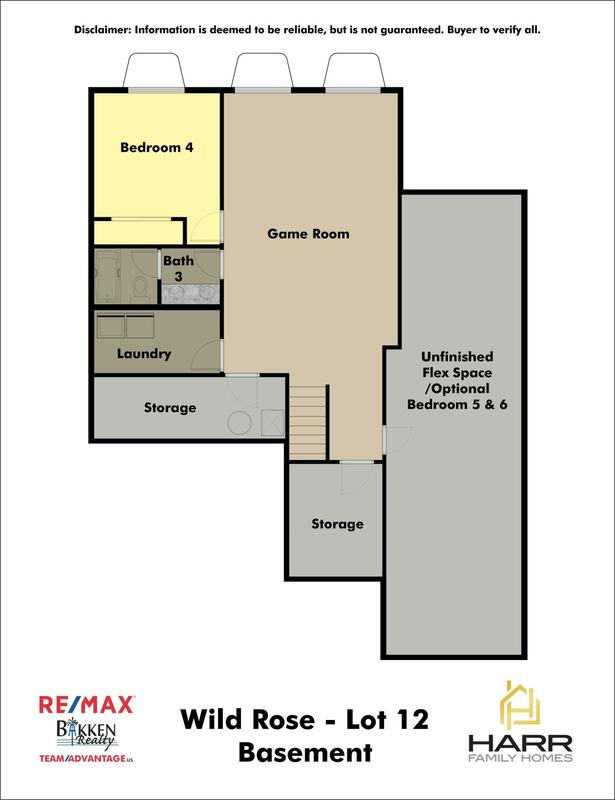 This home comes with a finished basement ready to meet the needs of your growing family. 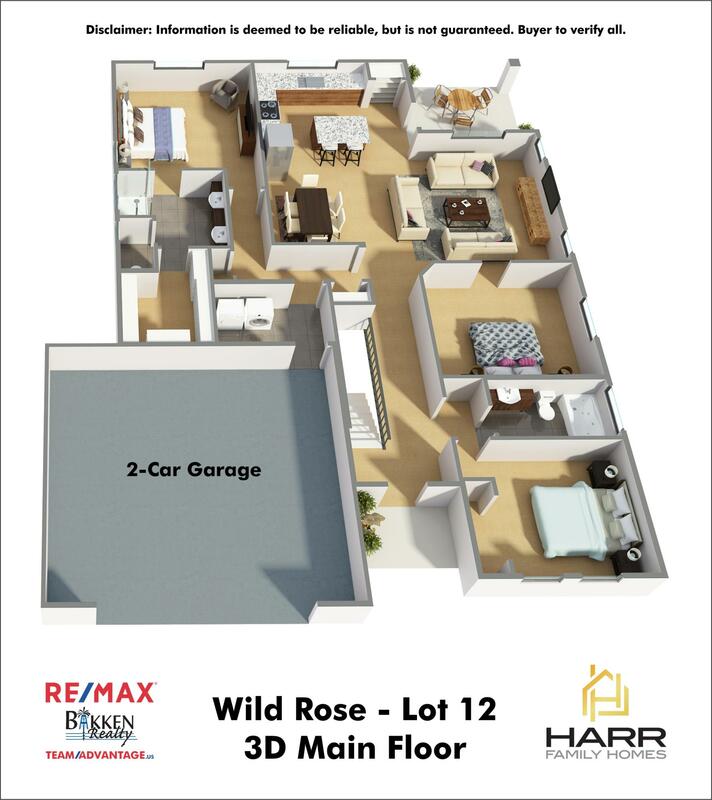 It also offers the potential of 3 bedrooms on the main floor and 3 additional bedrooms in the basement. This particular address will be set up as a Model and onsite Sales Office, but the Wild Rose Plan can be constructed on other lots within Stepping Stone. 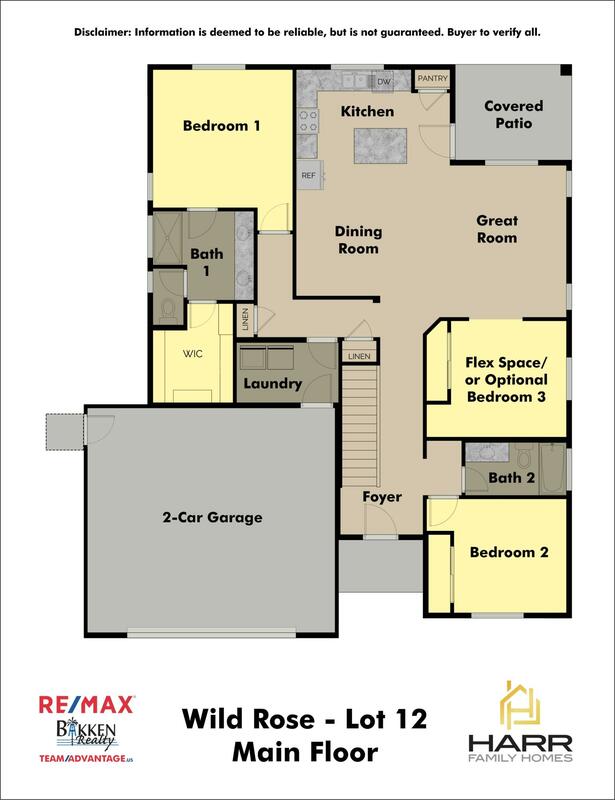 Contact Team Advantage of RE/MAX Bakken Realty to discuss customizing the finishes and hear about other highly desirable plans being offered by Harr Family Homes. 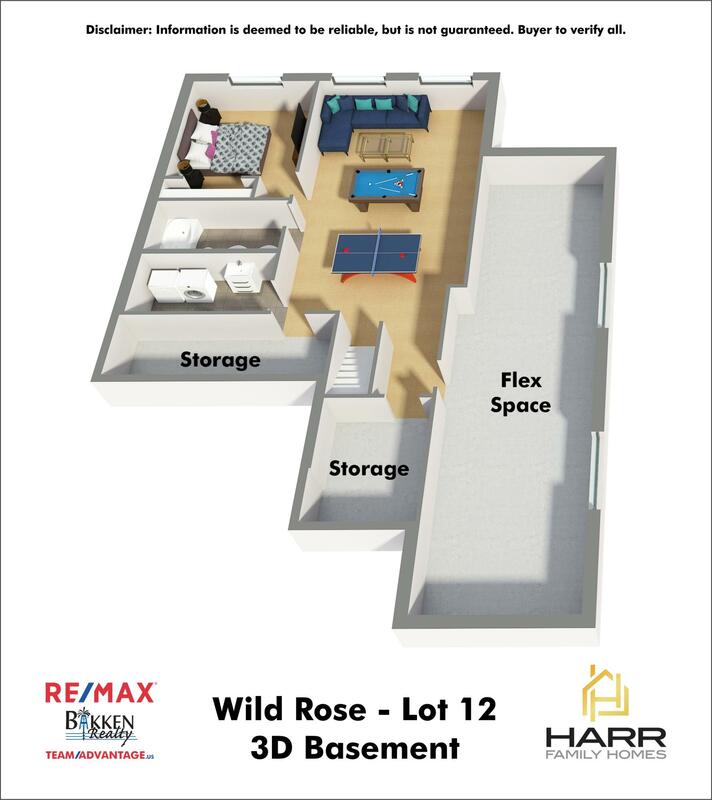 Finished Basement Includes: Specific rooms noted on plan Flex space unfinished Approximately 7'9" concrete walls with windows installed Plumbing for bathroom complete HVAC and hot water tank installed Electrical and HVAC installed Exterior walls framed and insulated Interior walls framed. Drywall and paint Interior doors casing and baseboard installed Floor coverings installed Storage and Mechanical room unfinished Call Katie Walters at (760) 851-8834.